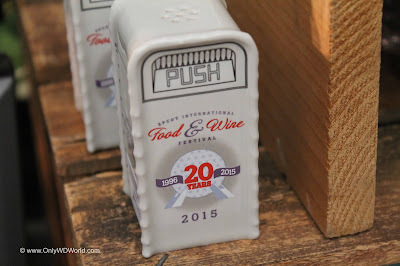 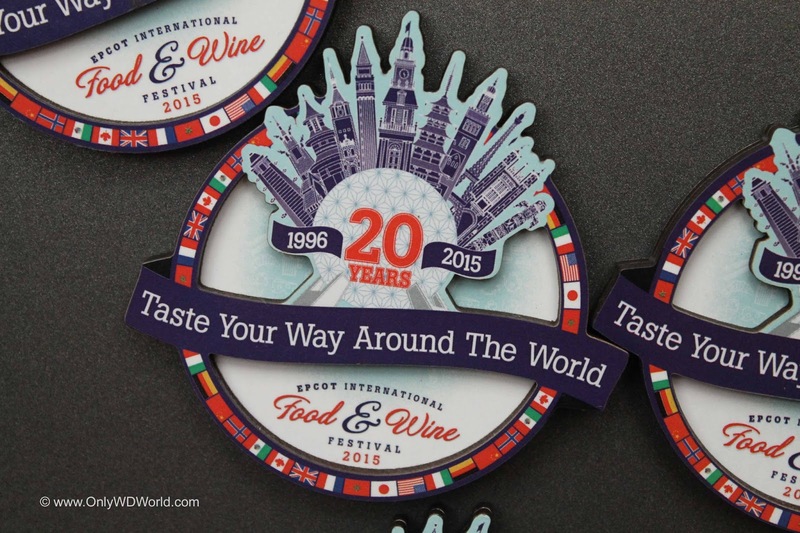 The 20th annual Epcot International Food& Wine Festival is here! This milestone Disney World festival has a wide variety of special merchandise that has been created just for the occasion. 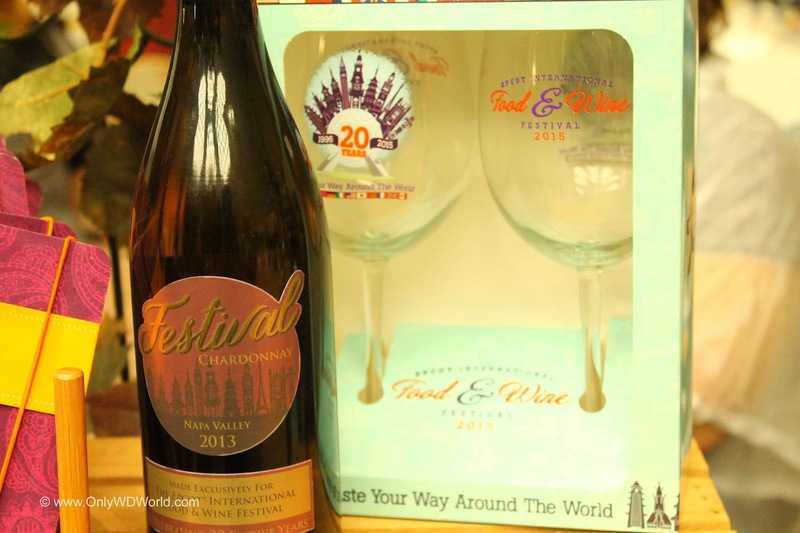 Most of these items can only be obtained by visiting the festival in person. 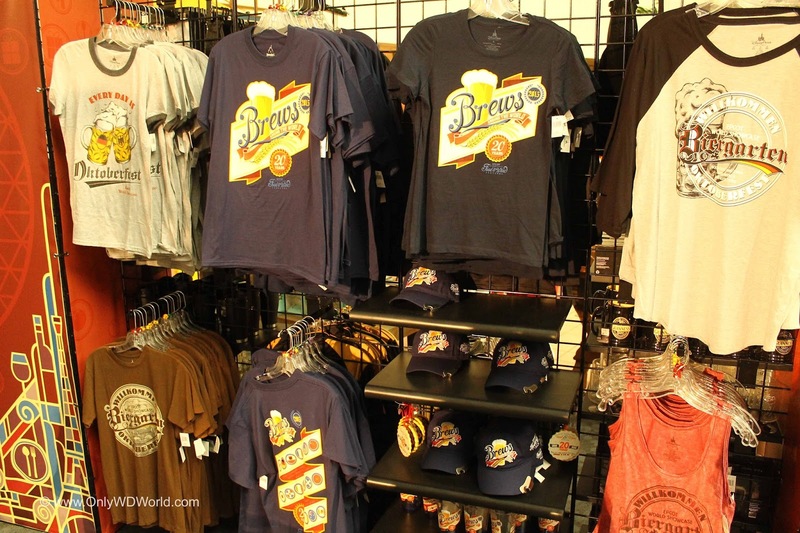 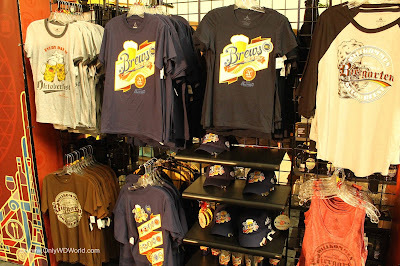 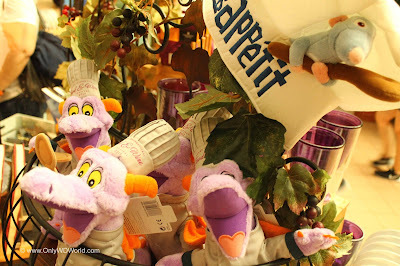 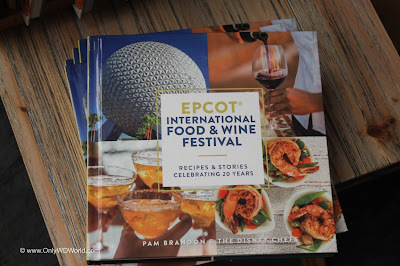 The Festival Center, located in Epcot Future World, is the best place to locate merchandise dedicated to the Food and Wine Festival. From the typical T-Shirts, glassware, and posters to Cookbooks and plush characters, there are items to appeal to every fan of the Festival. 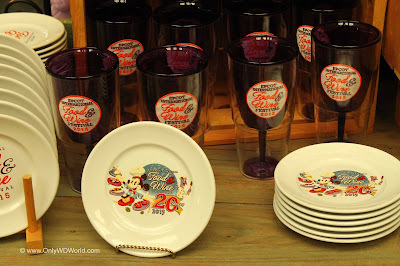 There are a great number of options of wine glasses, beer glasses, and dishes that have the 20th anniversary Epcot Food & Wine Festival logo and other Festival graphics. 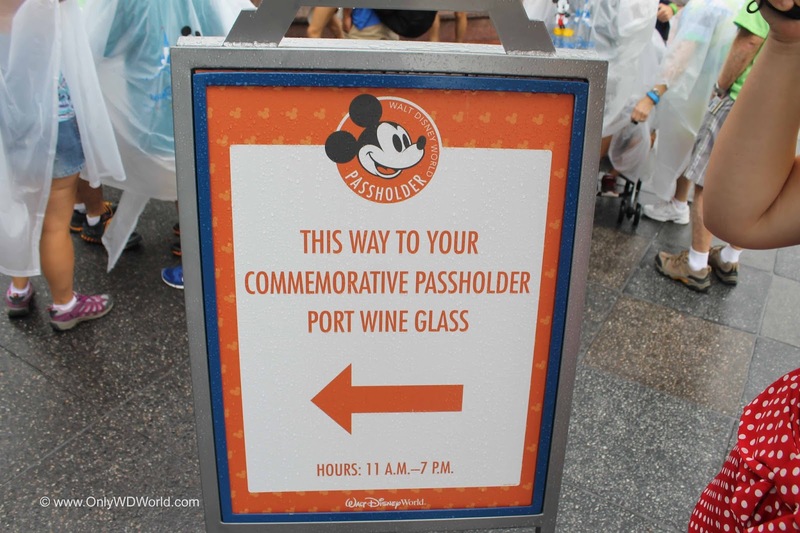 There is also a special port wine glass that Disney World Annual Passholders can "earn" by visiting the Food & Wine Festival on 3 separate days and getting their Festival Passport Stamped. 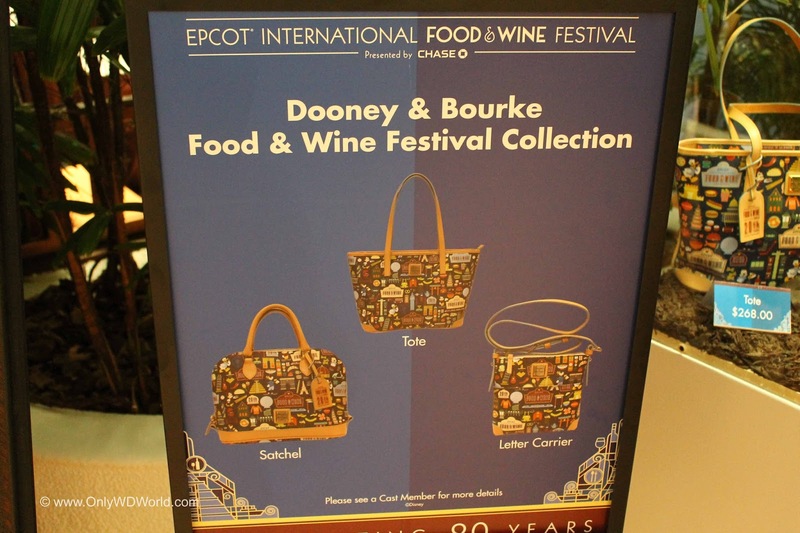 There are 3 new Dooney & Bourke designs that are exclusive to the 20th annual Epcot Food & Wine Festival. They are very colorful with great graphics. 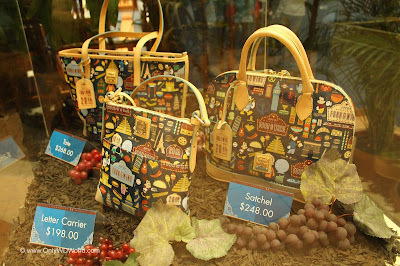 The options include: Letter carrier $198.00, Satchel $248.00, & Tote $268.00. 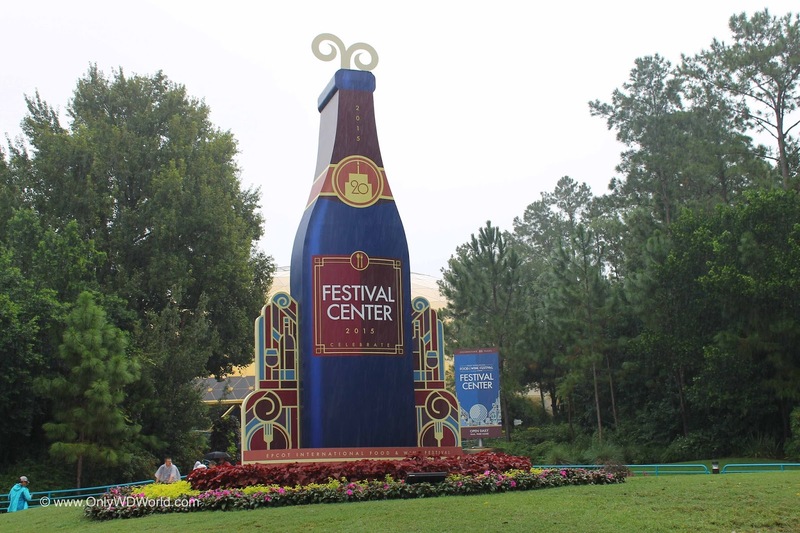 These unique designs are sure to please the Festival fans. 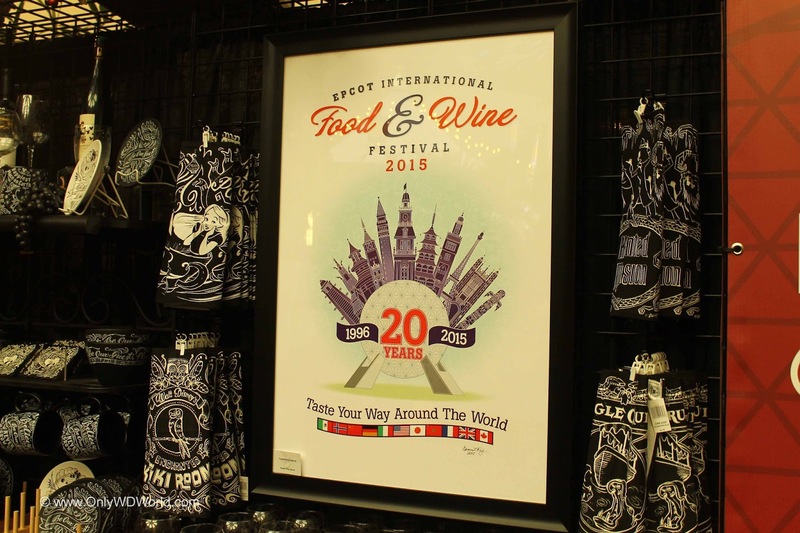 There are two different 20th Annual Festival posters available. The tough part is deciding which one to choose or to just purchase both. 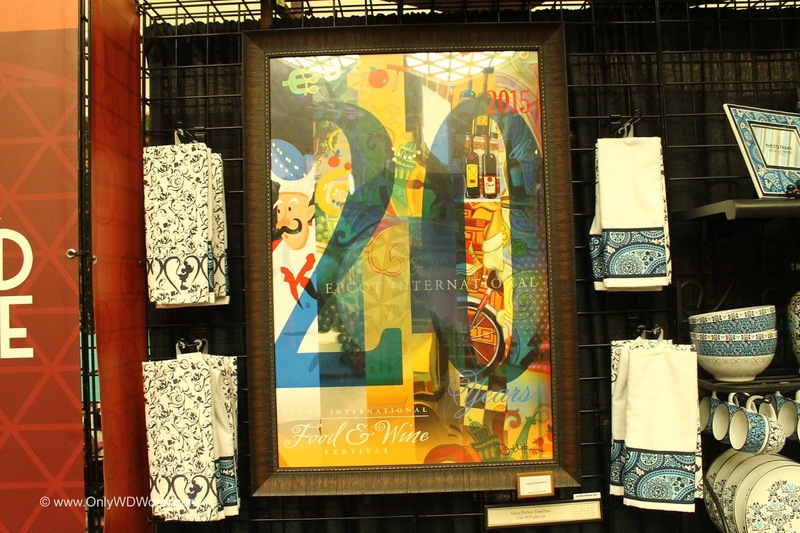 The unframed versions cost $24.95 and the autographed, framed versions are $209.95. One great way to bring the Festival home and make it last year round, is to purchase the Festival cookbook that has many recipes of favorite dishes that you have enjoyed from the Festival Marketplaces. 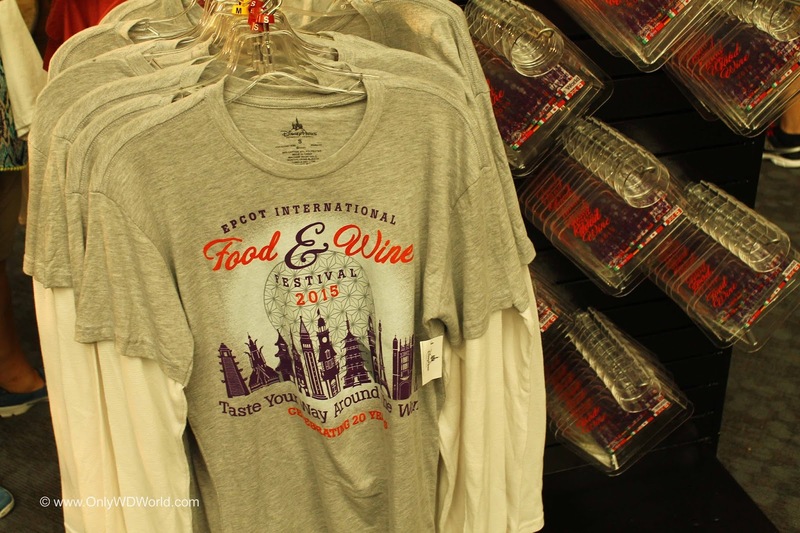 There are also other creative F&W Festival merchandise items that are sure to catch your eyes. 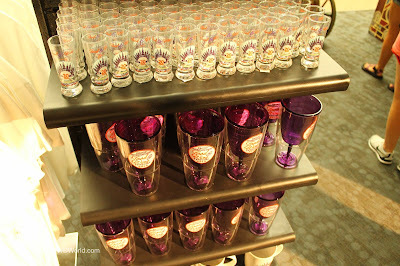 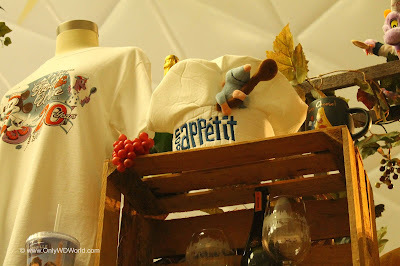 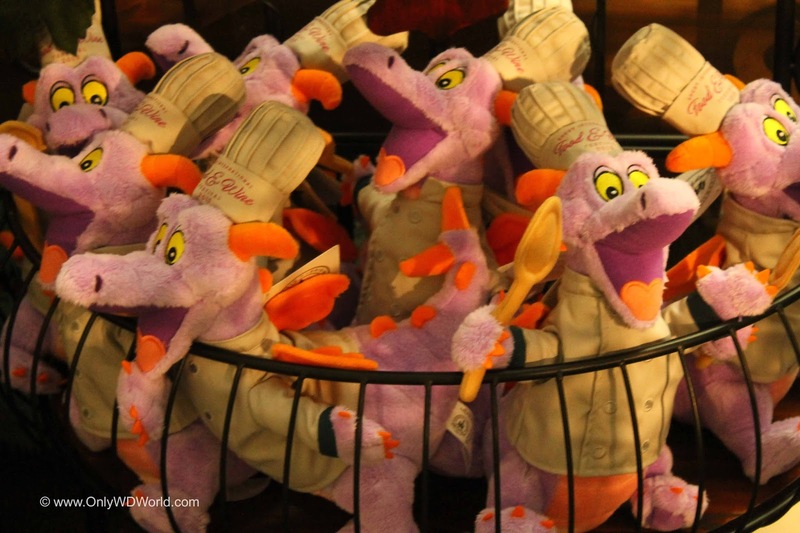 From practical to whimsical, you can certainly find something that catches your fancy at the Epcot Festival stores. 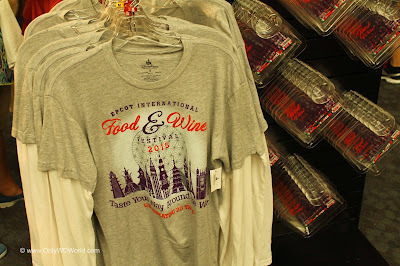 There is no reason that you cannot find something that fits your style and provides a lasting memory of your 2015 visit to the Epcot International Food & Wine Festival. 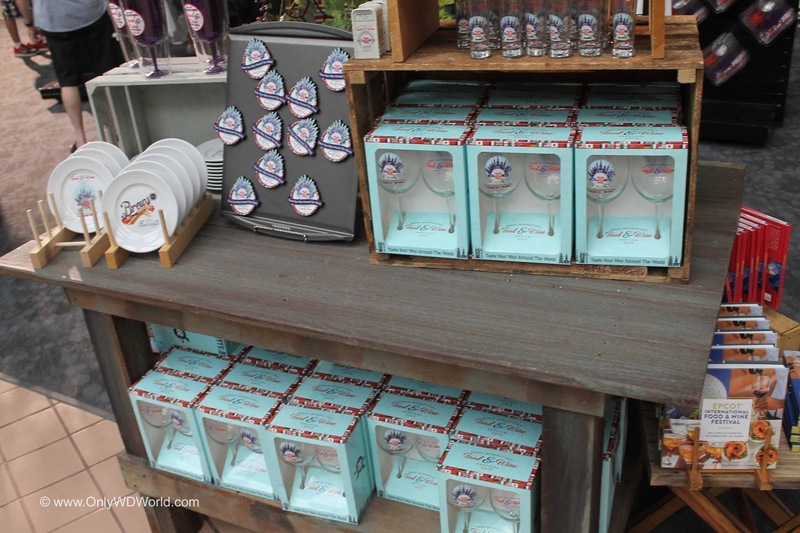 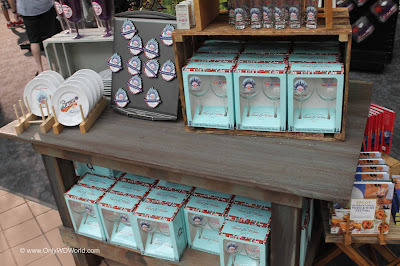 0 comments to "20th Annual Epcot Food & Wine Festival Merchandise"